Placenta encapsulation, or consuming your placenta, has been known to provide a wide range of benefits to new mothers. It began as a common practice in Chinese medicine but over time has found a place in Western medicine, as well. 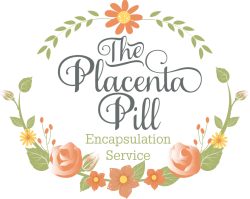 Today’s mothers choose The Placenta Pill from all over the DFW and Southern OK areas, including Gainesville, Denton, Flower Mound, Lewisville, Argyle, Grapevine, Dallas, Plano, Frisco, McKinney, Richardson, Fort Worth, Allen, Keller and more! The Placenta Pill makes no guarantees as to the reported benefits, and provides an encapsulation service only. As always, consult with The Placenta Pill and your medical care provider with any questions. The Placenta Pill looks forward to serving you soon! Contact us today to book your professional encapsulation.